Content marketing budgets are going up, but only half of content marketers feel their efforts are effective. 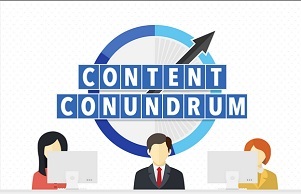 Content marketing is all the buzz for 2014. Indeed several studies have pointed to marketers increasing their content marketing budgets this year, but less than half of those being surveyed are confident their efforts are effective. The key, according to the Content Marketing Institute, is to have a strategy. For more details on the challenges content marketers face and how strategy improves performance, check out the infographic below.